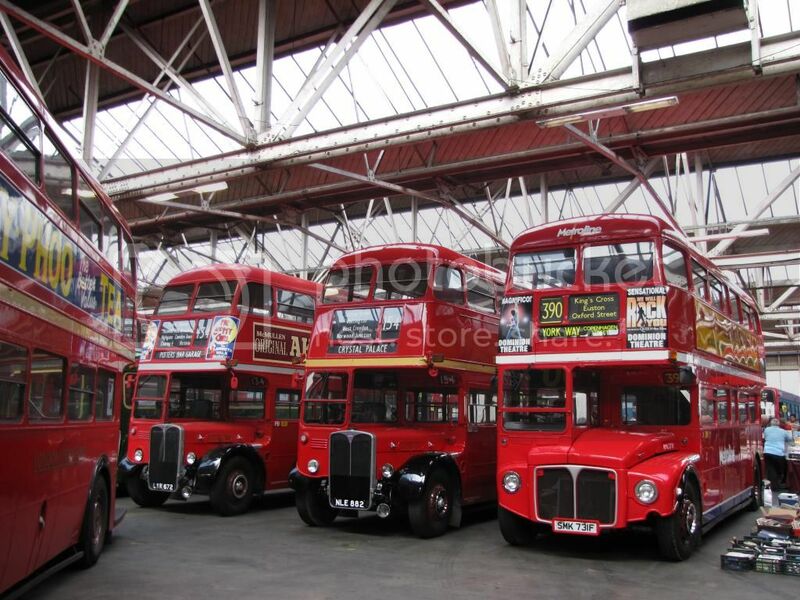 Last weekend I went for a look at what I believe is an annual event, and one of a few around London where Bus Garages (Depots) open to the public - yes just like we used to do in Aus! It was worth the trip out with the usual classics running around, an AEC Merlin (my fav of the day) and a brand new Borismaster (LT16) with no Oyster Readers and protective plastic covering the stairwells. A number of special routes were being operated from the garage and LT16 was providing service at various times during the day. I took my first ride on one of these and my verdict is its a nice bus (for now until the chavs get to them) but don't get your hopes up for a nice melody - its a quieter version of an insipid hybrid droning on. Heres some shots and clips from the visit. 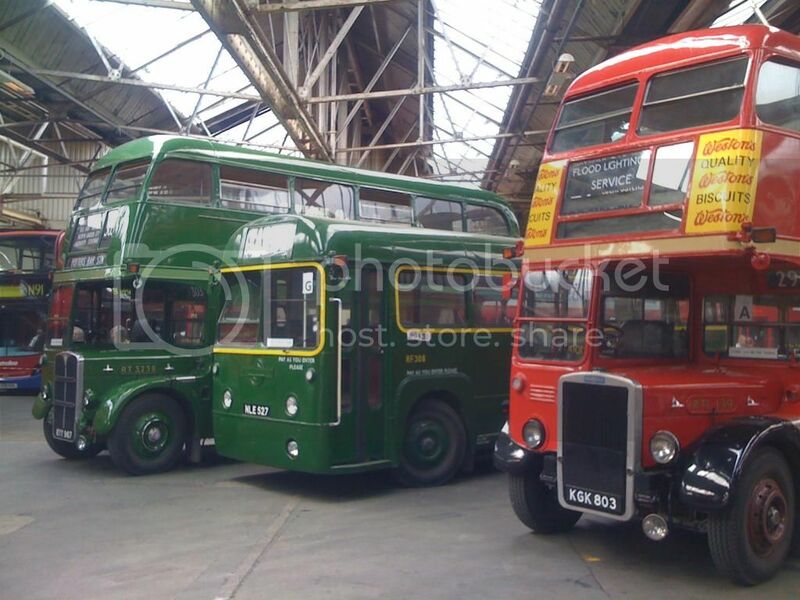 A line up of classics in residence inside the shed. MB641 at Cuffley Station on one of the special routes operated from the Garage. 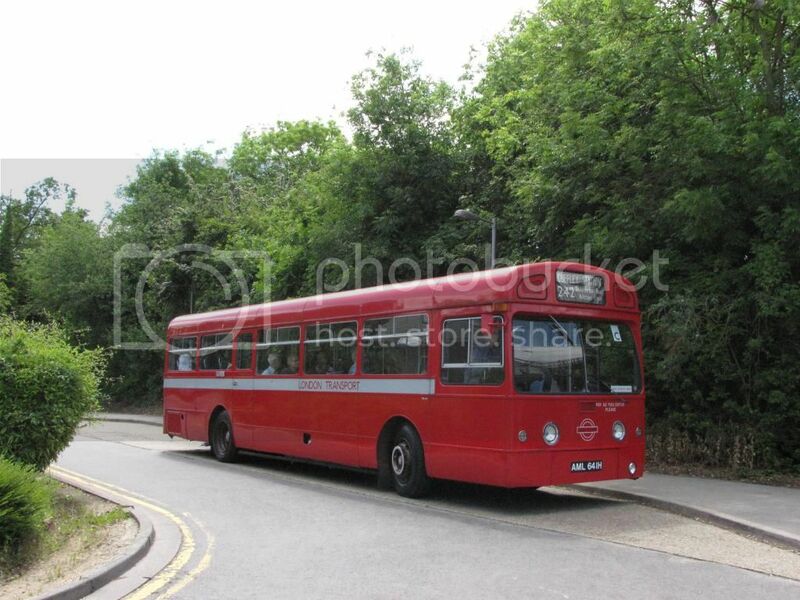 RTL139 at South Mimms, on another of the special runs. LT16 at Colney Fields Shopping Park (just north of the M25). Another line up of visitors. I saw a bunch of brand new Metroline NBFLs parked up presumably preparing for route 24 operations starting soon, would've like to of attended this event, but was busy getting things sorted for my departure on the Sunday. Cool shots. Have you seen Sydney's new Dobule Deckers? 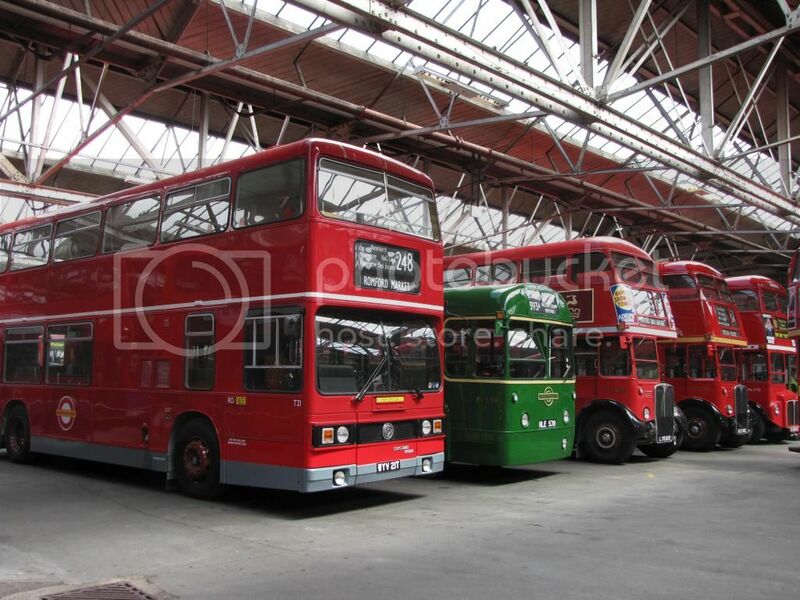 If so how do they compare to the Borismaster? Great Pics , use to choose between RF's RT's and N7's and L1's [with B.R.] to travel to School , the Tank Locos were the more exciting ! Thanks for the nice comments folks - sorry I've got no idea what's going on with Sydney's deckers I'm afraid so can't compare. You can't really compare them anyway. 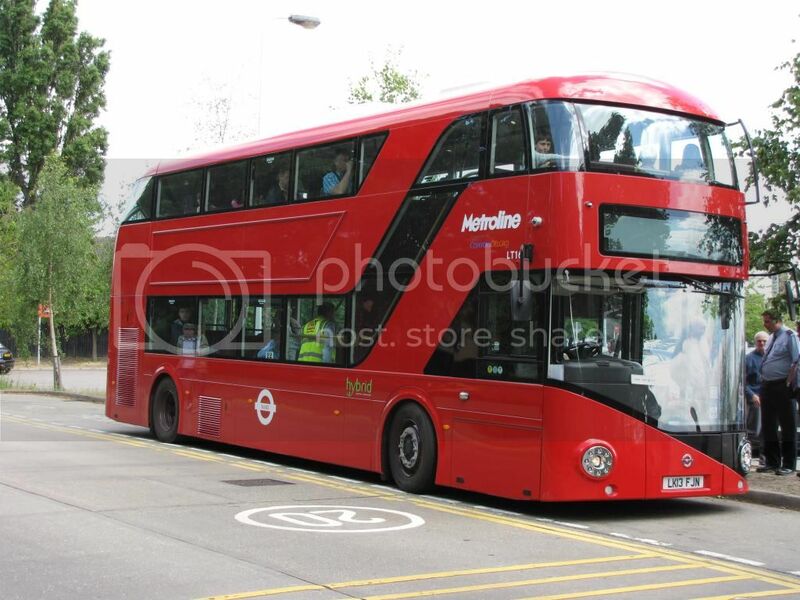 The NBFL is a Hybrid 2 axle, the Bustech CDi is just a standard diesel engined bus and is 3 axle. 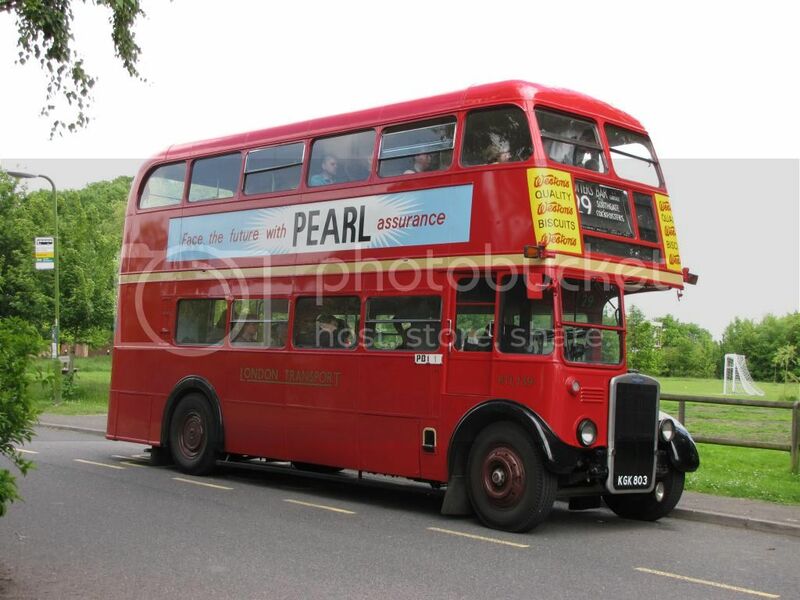 But in terms of Hybrid, the Borismaster does quite well, it is well designed, rides alright, not so sure about the sounds it makes which is a bit like a misfiring lawn mower! But it's better than all the other hybrids except the B5LH which is also quite good. Wicked shots, London transport history is so deep and fascinating!